Southern Punjab must be central to any sustainable effort to counter jihadist violence within and beyond Pakistan’s borders, given the presence of militant groups with local, regional and transnational links and an endless source of recruits, including through large madrasa and mosque networks. The region hosts two of Pakistan’s most radical Deobandi groups, Jaish-e-Mohammed, held responsible by India for the 2 January 2016 attack on its Pathankot airbase; and the sectarian Laskhar-e-Jhangvi (LeJ), which was at least complicit in, if not solely responsible for, the 27 March Easter Sunday attack that killed more than 70 in Lahore. To reverse the jihadist tide, the Pakistan Muslim League-Nawaz (PML-N)’s federal and Punjab province governments will have to both end the climate of impunity that allows these groups to operate freely and address political alienation resulting from other governance failures these groups tap into. Southern Punjab was once known for a tolerant society, but over the past few decades, state support for jihadist proxies, financial support from foreign, particularly Saudi and other Gulf countries, combined with an explosive mix of political, socio-economic, and geostrategic factors, has enabled jihadist expansion there. Bordering on insurgency-hit and lawless regions of the country and also sharing a border with India, it has long provided a convenient base where these outfits can recruit, train and plan and conduct terror attacks. Although jihadist groups still harbour a fringe minority in a region where the vast majority follows a more tolerant, syncretic form of Islam, their ability to operate freely is largely the result of the state’s policy choices, particularly long reliance on jihadist proxies to promote perceived national security interests. The absence of rule-of-law, combined with political dysfunction and inept governance, also allows these organisations to exercise influence disproportionate to their size and social roots. With state sponsorship and a pervasive climate of impunity enhancing jihadist groups’ recruitment potential, the risks of joining are far lower than potential gains that include employment and other financial rewards, social status and sense of purpose. These are all the more compelling in Punjab’s largely rural and relatively poorly developed southern regions, where perceptions of exploitation by the industrialised central and north Punjab, referred to by southern Punjabis as Takht Lahore (throne of Lahore), are high, the result of political marginalisation, weak governance, economic neglect and glaring income inequity. After the December 2014 attack on the Peshawar Army Public School by a Pakistani Taliban faction that killed over 150, mostly children, the civilian and military leadership vowed to eliminate all extremist groups. Yet, the core goal of the counter-terrorism National Action Plan (NAP) it developed – to end distinctions between “good” jihadists, those perceived to promote strategic objectives in India and Afghanistan, and “ bad” jihadists, those that target the security forces and other Pakistanis – appears to have fallen by the wayside. 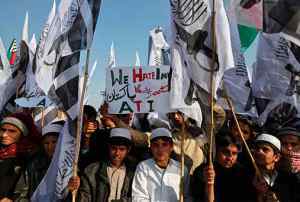 A highly selective approach still characterises the ongoing crackdown on militant outfits in southern Punjab and undermines broader counter-terrorism objectives. While the anti-India Jaish continues to operate freely, paramilitary units use indiscriminate force against local criminal groups, and the Punjab government resorts to extrajudicial killings to eliminate the LeJ leadership and foot soldiers. Overreliance on a militarised counter-terrorism approach based on blunt force might yield short-term benefits but, by undermining rule-of-law and fuelling alienation, will prove counterproductive in the long term. The lack of progress on other major NAP goals, particularly reform and regulation of the madrasa sector, has especially adverse implications for southern Punjab, with its many Deobandi madrasas. The children of the poor are exposed to sectarian and other radical ideological discourse. The state’s unwillingness to clamp down on it in sectarian madrasas and mosques so as to counter hate speech and prevent dissemination of hate literature increases the potential for radicalisation in the region. In the poorest region of the country’s richest and most populous province, where economic hardships are compounded by periodic natural disasters, including droughts and floods that destroy homes and livelihoods, jihadist groups, often with state support, their access being facilitated by the bureaucracy, are given opportunities to win hearts and minds through their charity wings. At the same time, civil society organisations capable of filling the gaps in the state’s delivery of services are often subjected to restrictions and intimidation. Despite jihadist inroads, the vast majority in southern Punjab still adhere to more moderate syncretic forms of Islam: Sufism, and Barelvism, with practices and rituals that Deobandis and Wahhabi/Salafis portray as heretic. Yet, a general climate of impunity is encouraging extreme religious, sectarian and gender discrimination and exclusion. If left unchecked, these groups’ influence will likely spread within and beyond the region. Lahore and Islamabad should enforce the law against all jihadist organisations, without exception. If they do not, many in southern Punjab may continue to see the rewards of joining such organisations as far outweighing the costs. Replace selective counter-terrorism with an approach that targets all jihadist groups that use violence within or from Pakistani territory, including by thoroughly investigating the alleged role of Pakistan-based jihadists in the Pathankot attack, extending beyond individual operatives to the organisations that sustain them. Focus counter-terrorism efforts on reforming and strengthening the criminal justice system, with a properly resourced, authorised and accountable provincial police force at its heart, so as to moderate reliance on lethal force. Investigate and monitor under the Anti-Terrorism Act or UN Security Council Resolution 1267 and its blacklist all madrasas, mosques and charities with known or suspected links to banned groups, as well as those that maintain armed militias, or whose administrators and/or members incite violence and other criminal acts within or from the country; and act first against those madrasas in southern Punjab already identified as actively training militants and having direct or indirect links with jihadist outfits. Prevent circulation of hate literature and enforce laws against hate speech in madrasas, mosques and other forums, including by following through on all current cases against hard-line preachers and others accused of violating them. Remove arbitrary official and unofficial restrictions on NGOs and other civil society organisations in southern Punjab and assume responsibility for protecting against jihadist threats. Repeal all legislation that discriminates on the basis of religion, sect and gender and refrain from backtracking on provincial pro-women legislation or yielding to Islamist party pressure to dilute its provisions. Protect southern Punjab’s religious minorities, in particular Christians and Hindus, and take action against perpetrators of violence against women by acting through the legal system on reports of intimidation and abuse. Reform and expand the public school network, including by removing intolerant religious discourse and distorted narratives glorifying jihadist violence from the classroom; and accompany education reform with assistance along the lines of the Benazir Income Support Program (BISP) to help poor families afford to send their children to school. Increase southern Punjab’s development budget, accompanied by meaningful consultations with communities on development programs; and establish and implement requirements to hire a significant proportion of local labour for such programs and provide it related training. Respond to the political alienation in southern Punjab by including local leaders within party decision-making processes and structures, and giving them a voice at the local, provincial and national levels. Redress local grievances by addressing them in the provincial and federal parliaments, including through appropriate legislation.